Students read the list of words and write what the main category is! This downloadable printable is best suited for elementary school students and adults at Elementary (A1), Pre-intermediate (A2), Intermediate (B1) and Upper-intermediate (B2) level. 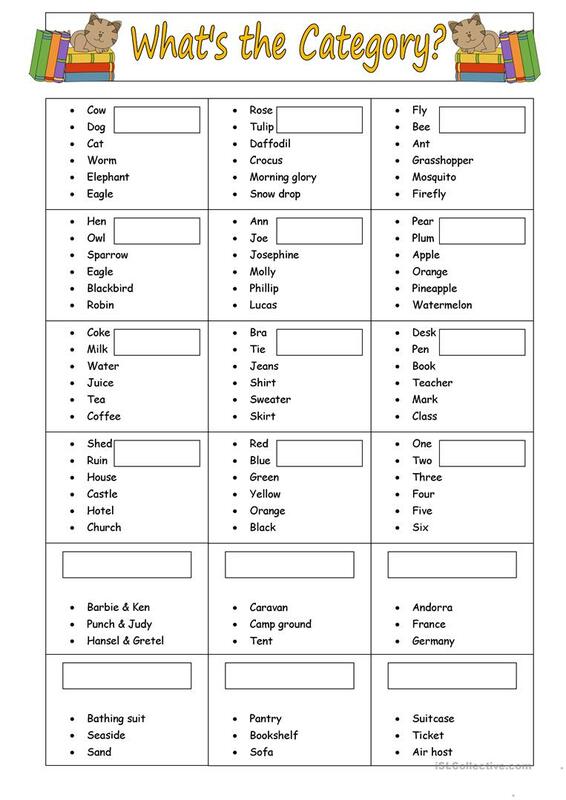 It is excellent for honing your class' Reading and Writing skills.